What happens when this emergency strikes? Check out these tips to save your phone! It happens to all of us. Sometimes, it happens to some of us a little worse than others. We're talking about dropping your phone into water. Whether it's a toilet bowl, a pool, a sink full of dishes, or even a big tub full of apples everyone's bobbing in -- it's still fall, after all. Here are some simple steps to take to make sure you don't have to get in line to buy a new phone. 1. Very quickly, grab the phone out of the water and dry it off before more damage is done. 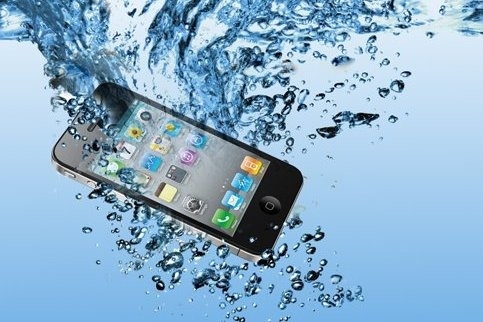 This may seem obvious, duh, but no matter where your phone has fallen, if you want it to have any hope of turning on once more, you need to get it out of the water, and QUICK! Once you've gotten it out of the water, grab a towel or absorbent material and get all of the water off of the surface that you can. Make sure it's completely dry on the outside and then turn off the phone. Even if you don't think you did any damage, turn off the phone and let it dry. You'll want to find something absorbent to put it on, like a towel. 2. Let the phone dry out. Putting the phone in a bed of rice or using silica may work for some people, but simply taking the phone out of its Game Boy cover and letting it sit in open air for 24 hours seemed to work for me. Those are, of course, methods that you can try depending on how wet your phone is and how long it was submerged in water. Take into account any cases you might have used and what the phone did when you finally got it out of the water. If it shut off, you might want to wait longer than 24 hours. Don't blow-dry it or expose it to heat, and don't turn it on until you're sure you've given it a considerable amount of time to dry. When in doubt, wait longer than you think you'll need. 3. When you're ready, turn the phone on and test it. Only turn the phone on after you're certain it's had plenty of time to dry out. Then, test out all of the features. In my case, my speakers were clogged with water and I couldn't hear anyone on calls unless they were on speaker. My phone had been tricked into thinking it was perpetually in headphone mode. It took plugging in and unplugging a headphone jack into the phone to both push out excess water and restore my phone to where I would be able to get the phone to kick out of that mode. Make sure you can charge the phone, and make sure the power button is still functional enough to turn the phone off again if you need to. Monitor the phone over the next week or so and check for any weirdness. Even if the phone seems like it's operating normally jot down any issues you may be experiencing, and keep any warranty information you have, AppleCare information, or even insurance through your carrier handy. You can't be sure what kind of damage you have caused, and the smallest bit of water could cause a major catastrophe. Now, next time see if you can avoid this kind of mishap. Taking steps to salvage your phone after this kind of technology emergency is simple and cheap, but replacing your smartphone is not! 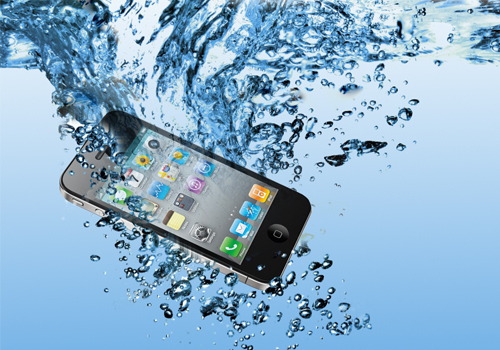 What kind of tips and tricks do you recommend for making sure your iPhone is still useable in the event you drop it into water?